Hold Everything is closing the doors of all its stores at the end of this month, according to the salespeople in the 68th Street Hold Everything location last weekend. After that, the sale moves online. Selection is already wearing thin. 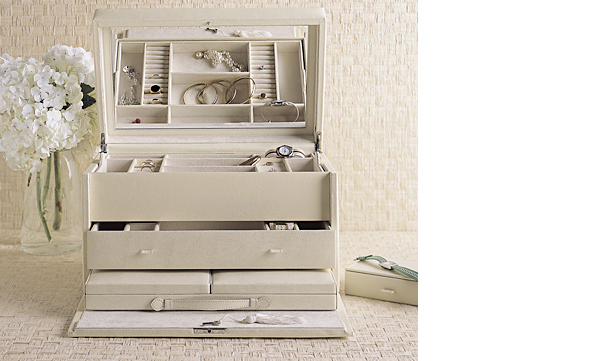 I bought a jewelry box (in white) last weekend and love it to death. Very classic.